Show your support for this innovation. Tweet it. Like it on Facebook. Leave a comment. The following SMART 100 profile and the information it contains is a duplication of content submitted by the applicant during the entry process. As a function of entry, applicants were required to declare that all details are factually correct, do not infringe on another’s intellectual property and are not unlawful, threatening, defamatory, invasive of privacy, obscene, or otherwise objectionable. Some profiles have been edited for reasons of space and clarity. 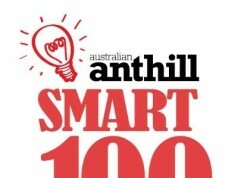 More about the SMART 100. In April 2011, WeTeachMe, a marketplace for real-life classes, came out of Australia’s first Launch48 event, a challenge to devise, plan and launch a business in 48 hours. Now a noted graduate of the Launch48 program, WeTeachMe is a solution to two real problems that exist today: (1) information overload and the inability to retain knowledge; and (2) the inability for people to profit from their passions. Democratise education by putting it in the hands of the masses. Anyone, anywhere at any age can learn anything they want. Anytime they want. WeTeachMe is a marketplace for real-life classes. Part A: WeTeachMe allows people to profit from their passions by handling all parts of the transaction for the would-be teacher. Part B: WeTeachMe allows people to find teachers for anything they want. Learning is individualised and tailored to the person who wants it which results in higher retention. Teaching is done in a way that is profitable, and in a way that celebrates a person’s passion. Knowledge transfer is facilitated to a higher degree than legacy systems. Learn anything at any time. Marketing, booking and sales handled. In the past, this problem was solved by YouTube videos and online articles but new problems of information overload and impersonality arose. In Australia in 2011, $6 billion was generated in revenue from alternative learning. $1 billion was the profit. There is an inefficiency of $5 billion! Online platform: http://weteachme.com/. Anyone can create a class/book a class straight away. Payment is handled by PayPal and accepts VISA. Social media sharing (Twitter and Facebook and Google+) are integrated into all key parts of a transaction (when someone books a class, creates a class, etc.). They share to Facebook and Twitter to bring along their friends as the learning experience increases in fun when friends come along. Trigger a Reaction: Facebook ‘Like’, etc. Leave a Comment: Anonymous comments excluded. More about the READERS’ CHOICE INDEX.